The Hartford Parking Authority (you’re welcome to call us “HPA”) was created in December 1998 by a City Council ordinance that amended the Hartford Municipal Code. This ordinance was adopted pursuant to Chapter 100, C.G.S. 7-202, of the Connecticut General Statutes. This State statute permits towns and municipalities to create parking authorities. 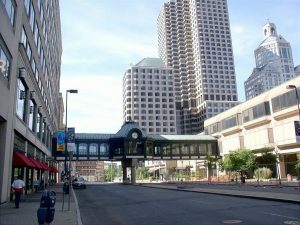 As such, the HPA is a separate “body corporate and politic” to the City of Hartford. The HPA is governed by five commissioners, who are appointed by the Mayor and approved by the Hartford’s Court of Common Council.